Our Salesforce Professional Services are delivered on a Time & Materials (T&M) basis using the following hourly rates. Contact Us if you’d like to discuss your Salesforce needs! Salesforce Configuration – Using the administrator tools available in "Setup." Examples of work that can be performed at this rate are configuration of native tabs (e.g. Leads, Accounts, Contacts, Opportunities, Products, Quotes, Cases, Solutions, Campaigns), creation of custom objects and report types, analytics (reports and dashboards), assignment rules, escalation rules, web-to-lead, workflow rules and actions, process builder, approval processes, community development, email-to-case, public knowledge base, validation rules, page layouts, custom fields and formulas, activities, mail-merge and email templates, org-wide security and role hierarchy, user administration and custom profiles, customer or partner portal, Salesforce to Salesforce connections, consoles, record types, etc. Consulting – Providing best practices around configuration approaches and maximizing the Salesforce data model. Delivering feedback and guidance on implementing solutions that support business processes, analytics and drive user adoption. Facilitating discussions with project stakeholders to drive consensus while reinforcing the overarching business objectives of the client. Project Management – Communicating and educating internal stakeholders as to the phases of the project and their objectives, along with the creation and maintenance of a project plan (i.e. identifying key milestones, tasks, dependencies, and deliverables). Training – Including one-on-one, end-user or administrator training, creation of Salesforce training materials (delivered in PowerPoint). Pardot Consulting and Configuration – Creation of landing pages, form submissions, email campaigns, lead scoring. 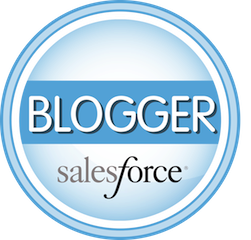 Providing guidance and best practices about marketing automation with Salesforce and Pardot. Financial Services Cloud (FSC) – Project work based on the the FSC version of Salesforce including design, architecture, setup, implementation, consulting, configuration, training, analytics, etc. Marketing Cloud – Project work based on the Salesforce Marketing Cloud including design, architecture, setup, implementation, consulting, configuration, training, Journey Builder, creating marketing assets, working with Email Studio, AMPscript, etc. Quickstart implementation packages start at $5,000 for sales, customer service, and Pardot.